You might remember Sega's Panzer Dragoon series for two things: Its amazing soundtrack, and Panzer Dragoon Saga which is considered one of the best JRPGs to have come out on the Sega Saturn. Unfortunately there hasn't been a new Panzer Dragoon game in awhile, and according to a new interview from Ryan Payton, Panzer Dragoon's last two games had some serious troubling disadvantages at Sega, including being forced to go head-to-head with Final Fantasy VII. Ryan Payton, video game industry veteran and founder of the indie game studio Camouflaj, recently got a chance to sit down with Japanese game developer Akihiko Mukaiyama who is most famous for his work on the Panzer Dragoon series for Sega. Specifically Mukaiyama was the director of Panzer Dragoon Orta on the original Xbox and battle designer on Panzer Dragoon Saga for the Sega Saturn. As one of the best received games at Sega Panzer Dragoon had a lot of clout, which made its later disappearance from the gaming scene particularly notable. 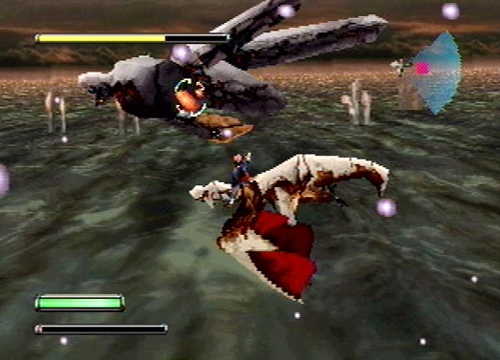 The Panzer Dragoon series appears regularly on lists of games fans would like to see rebooted in some form. However, the new interview with Mukaiyama sheds some light on how the venerable video game series slipped into obscurity, starting with the low sales for Panzer Dragoon Saga on the Sega Saturn. It didn't help that the game had some overwhelming competition in the form of another RPG that came out: Final Fantasy VII. Panzer Dragoon Saga was supposed to come out the same year as Final Fantasy VII but was pushed forward into 1998 to avoid crossing over with Grandia. According Mukaiyama expectations at Sega for Saga's sales were still incredibly high. It began with the console war between the Sony PlayStation and Sega Saturn with Sega believing whichever console had the best RPG would win the console war. "So when it was announced that Final Fantasy VII was coming to playstation, Sega CEO told us that Final Fantasy VII was now our new rival and we needed to beat them, and that we needed to sell 1.5 million copies of Panzer Dragoon Saga. That was the order that came down and that was the expectations that were put in place and there was a lot of pressure even though the scale of FFVII and their team really dwarfed our production," said Mukaiyama. Final Fantasy VII ended up selling close to 10 million copies globally, while according to VGChartz Panzer Dragoon Saga sold about .11 million. A far cry from what Sega considered Final Fantasy VII's biggest rival. Still, in a discussion regarding Saga's sales, nobody at Sega seemed to be able to figure out what exactly went wrong. "I think everybody was really confused about why the game didn't do very well commercially," admitted Mukaiyama. "When the Panzer Dragoon Saga project wrapped, we were summoned by someone high up within sega to come and talk, and I remember thinking 'Why do they want to talk to us?' And it turns out they were curious to hear our opinions about why [Panzer Dragoon Saga] didn't sell well commercially," explained Mukaiyama. "In fact I would later find out it was actually Yu Suzuki who was behind that request because he was making a game that was somewhat similar to Panzer Dragoon Saga, which at the time was the Virtua Fighter RPG." 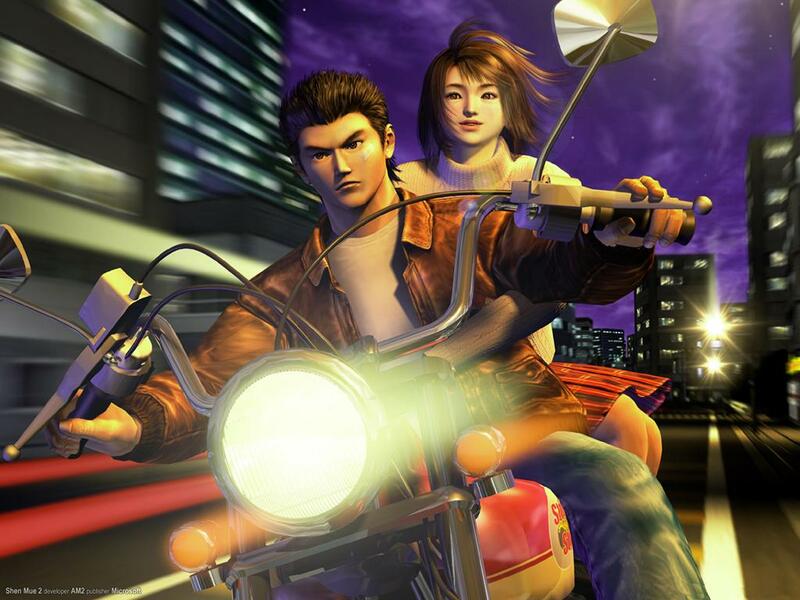 As you might know, Virtua Fighter RPG eventually became Shenmue on the Sega Dreamcast though Mukaiyama doesn't elaborate on whether Suzuki found useful information from Panzer Dragoon Saga for his development on Shenmue. Panzer Dragoon had one more game in the series, Panzer Dragoon Orta, which after backing the Xbox thanks to the development team's familiarity with PC gaming, managed to sell roughly double what Saga sold. Unfortunately that was the last gamers saw of the Panzer Dragoon saga. Despite the series' unique mix of dragon flying, on-rails shooting combat, Panzer Dragoon was doomed from tough competition and possibly backing the Xbox for development, a console fairly unpopular in Japan. You can check out the rest of Payton's interview with Mukaiyama over at the Back In My Play podcast where Mukaiyama talks about Panzer Dragoon Orta, and on Camouflaj Radio where Payton and Mukaiyama discuss Panzer Dragoon Saga and Final Fantasy VII. Correction: An earlier version of this article said that Final Fantasy VII and Panzer Dragoon Saga both released in 1998. Final Fatnasy VII came out in 1997 and Panzer Dragoon Saga was originally slated for Christmas '97 before being bumped forward. Tagged with News,	PlayStation,	Sega,	sega saturn.